Motorists gearing up to buy a new set of wheels now the "64" plates have been released are being urged to snap up a cheap loan or competitive credit card deal. 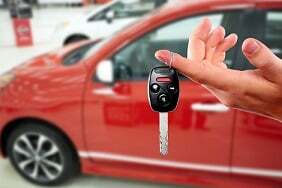 While cash is king when it comes to buying a new car – as it may mean you can negotiate additional extras – all is not lost if you’ve not got a nest egg to dip into and need to borrow money instead. As long as you’ve got a top-notch credit rating, there are some really cheap car finance deals to be had right now. 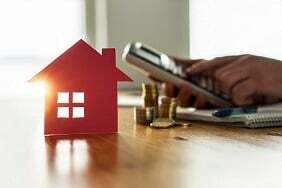 You can currently get a rate as low as 4.1% on a personal loan with the likes of Sainsbury’s Bank, M&S Bank and Tesco Bank, according to David Black, money expert from Consumer Intelligence. "This rock-bottom rates applies to larger loans of between £7,500 and £15,000," he says. Sainsbury’s Bank is currently offering a rate sale on loans between £7,500 and £15,000, with loans available from 3.9% for Nectar Card holders until 23 September. Note, however, that if you want to borrow a smaller sum of, say, £3,000, then you can expect to pay well into double figures. If you'd like to learn more, our personal loans page may be able to help. If the garage you’re buying from accepts credit cards, you could consider paying by plastic instead. 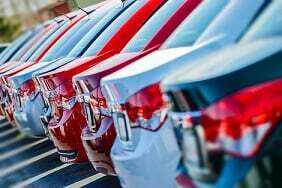 "When it comes to buying a new car, many people automatically start thinking about a loan," says Rachel Rawlings, personal finance expert at Confused.com. "But there are a few different options, including a purchase card with a decent interest-free period, or a money-transfer card." Tesco, for example, is offering 0% for 19 months on its purchase credit card. "The added advantage of this card is the fact you’ll also earn points on your spending," says Rawlings. Elsewhere, Santander and Sainsbury’s both have cards offering 0% on purchases for 18 months. If you’re considering a money-transfer credit card, Rawlings picks out the MBNA Platinum card offering 32 months at 0% on money transferred to your current account. This comes with a 4% fee. Don’t forget that using your plastic puts you in a stronger position should you have any problems with the garage or the vehicle. Under Section 75 of the Consumer Credit Act, your card provider shares responsibility with the company you paid for goods or services, and can supply a refund. This applies to purchases between £100 and £30,000. There are lots of things to consider when thinking about how to finance your car purchase, but finding the right way to pay could save you a lot of money, according to Rawlings. 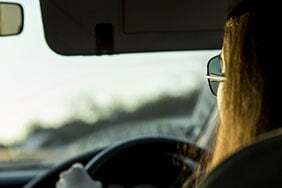 "Find out whether the place you’re buying the car from charges a fee for using a credit card, as this could influence your decision," she says. "Also think about how quickly you need the car, and whether your credit rating is good enough to enable you to get accepted for the card or loan deal you want to apply for." 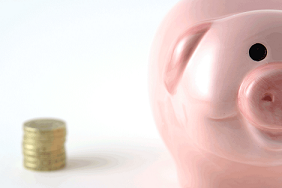 If you’re set on splashing out over the next few weeks, you might be tempted by 0% finance deals available from the manufacturer. But note that you’ll probably have to pay a hefty deposit: figures from the AA suggest you could have to stump up as much as a third of the value of the car. Crucially, when considering any finance package from a dealer, car broker or car supermarket, compare deals using the annual percentage rate (APR) and the total amount payable: never rely on the "flat-rate" quoted. "Buyers can sometimes be under a lot of pressure to accept a garage’s own finance scheme, but you should always consider whether it’s right for you – or whether there could be better options out there," adds Rawlings. "It’s always worth doing your sums when considering how to fund a new purchase." What is 0% car finance? Looking for a 0% finance deal? Read our guide first. Want to know if you can cancel a PCP or HP agreement early? We take a look at your rights. We explain the difference between the two main types of loan. 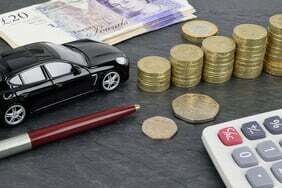 From personal loans to hire purchase, we look at how different types of car finance work. What is exact APR? And how is it better than representative APR? Want to sell your car but you’re still paying off the debt? Here’s what you can do.